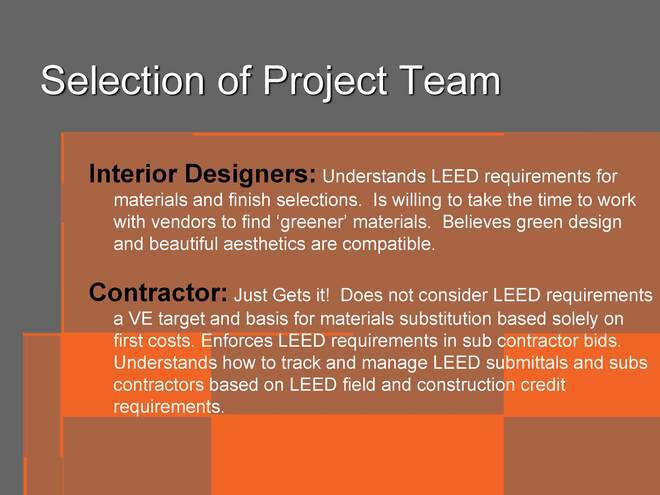 How do you get LEED certification for your hotel? If you listened to the war stories of Wen Chang at The Hotel Developers Conference™ (owner and developer of the first LEED gold certified hotel in the United States with his Gaia Hotel in Napa), this is not an easy task, and takes careful orchestration of when and how you do what (and with whom). As the President of Simon & Associates, Lynn leads a nationally recognized green building consulting firm which uses a practical and collaborative approach and offers a wide range of services to advance sustainable and healthy building design and construction practices. 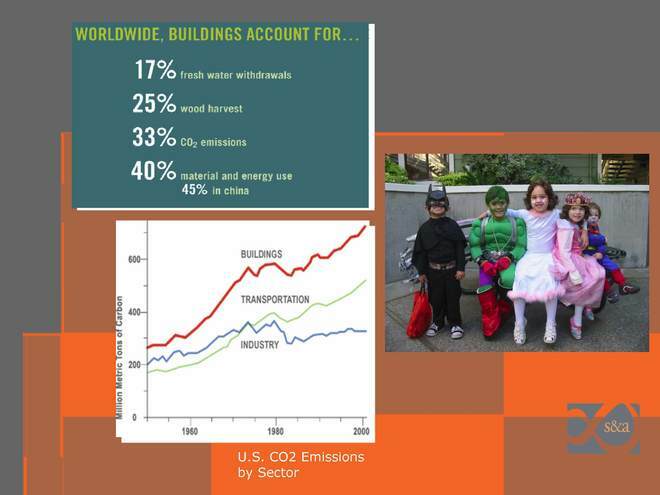 Lynn is a green building pioneer and a leading authority in the industry. 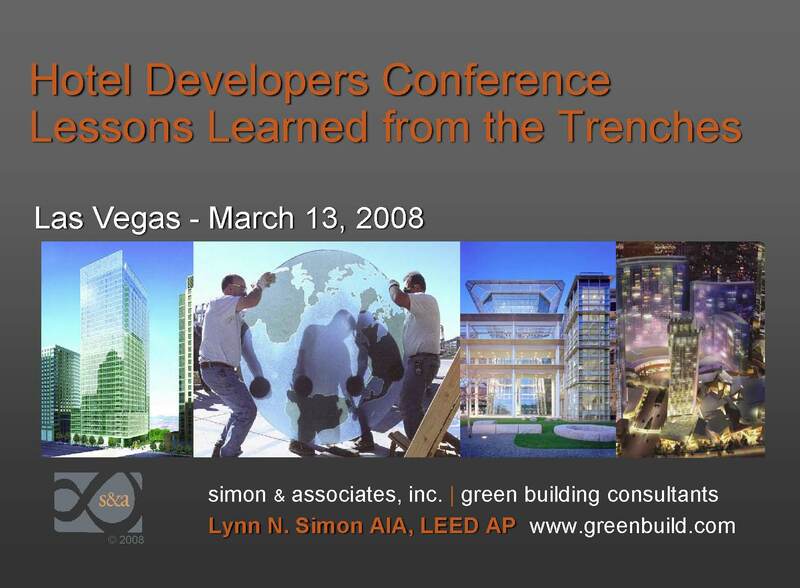 Here is her presentation at our Hotel Developers Conference 2008. 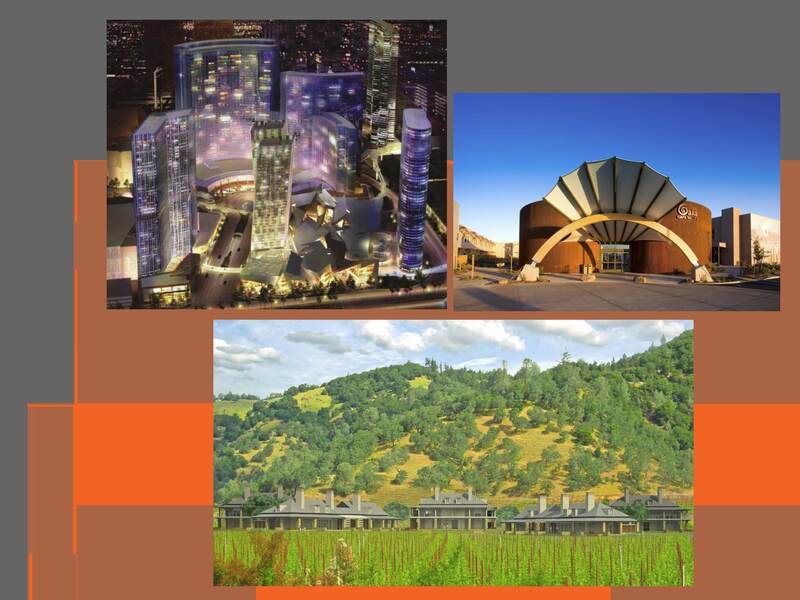 Though these three hotels differ dramatically in design, location, and client niche they share one vital commonality: a commitment to sustainability through LEED certification. I included this slide to show that LEED certification is a realistic possibility for all hotels willing to make the commitment. 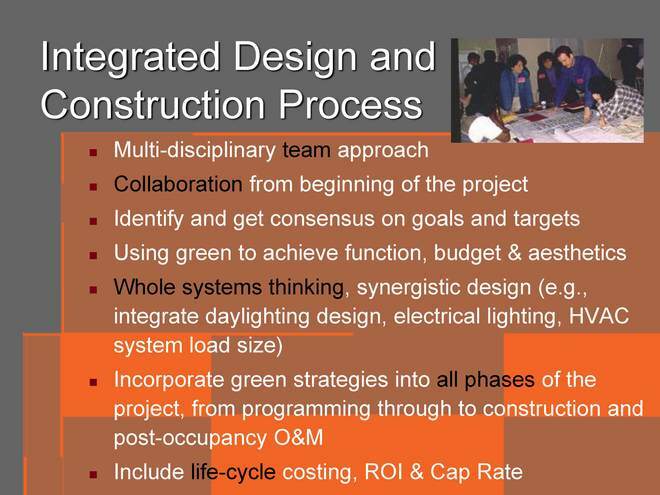 Integrated design and construction process is the fundamental principle of Green building. The LEED process begins with the initial phases of the design process and continues all the way through to the construction phase and even into post-occupancy. 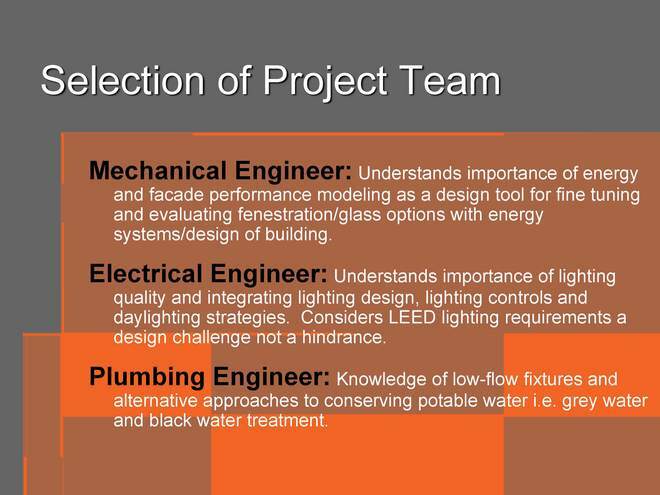 The earlier a commitment to sustainability is made the smoother the process of achieving LEED certification will be. The ENTIRE project team should be selected based on their willingness to incorporate Green early in the process. This is a key aspect of an integrated approach. 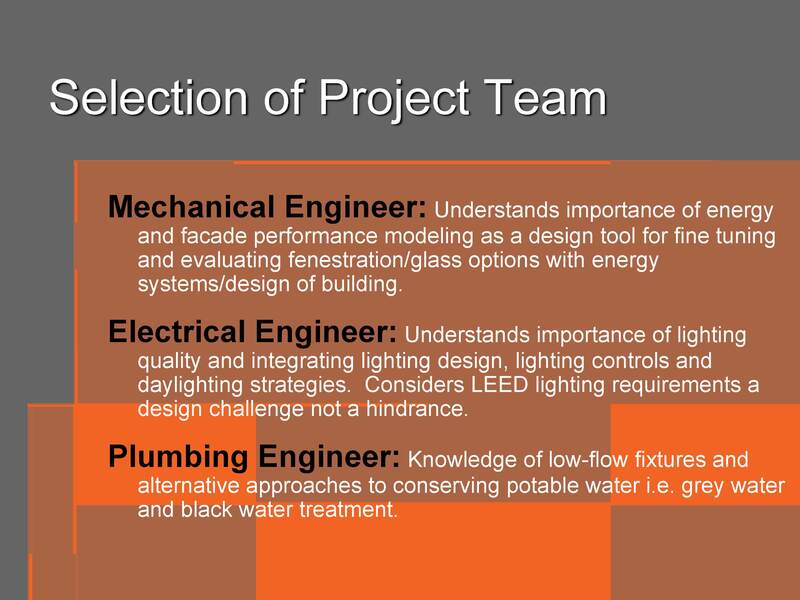 The owner should make a commitment to Green early on in the process and encourage the Project Team to use innovative technologies to enhance the sustainable features of the project. 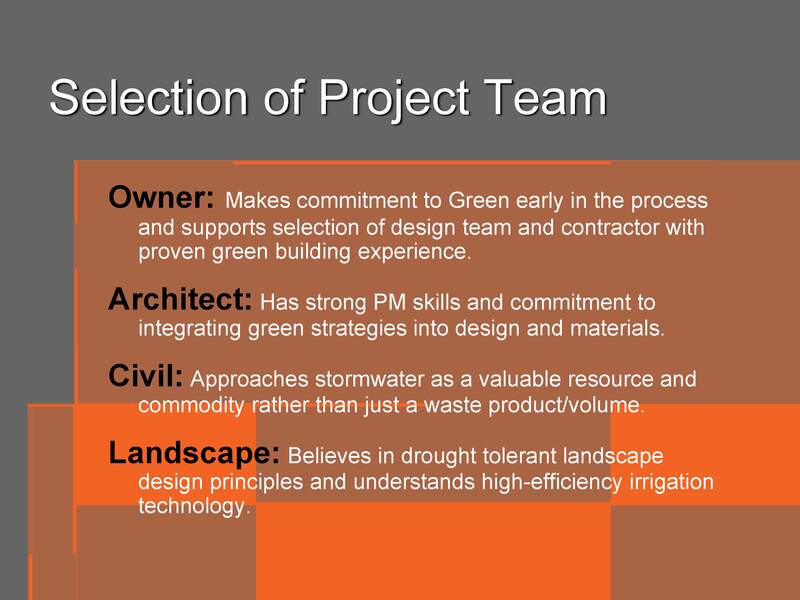 The Project Team should be selected based on their ability to utilize existing Green practices/technologies and their willingness to implement them. 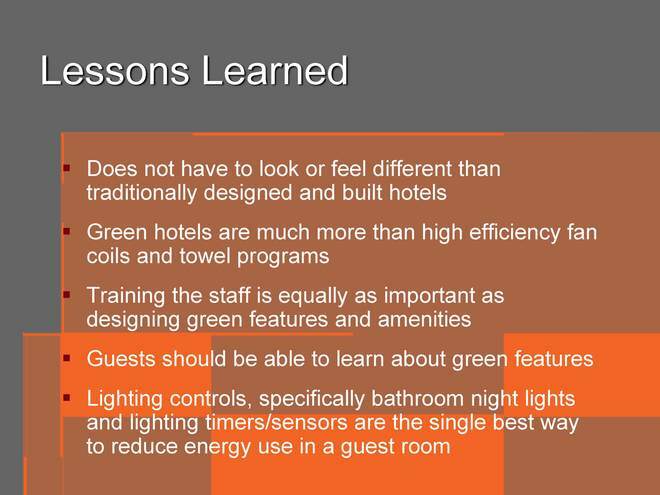 Guests expect certain things when they stay in a hotel and those expectations do not have to be sacrificed to make a hotel Green. 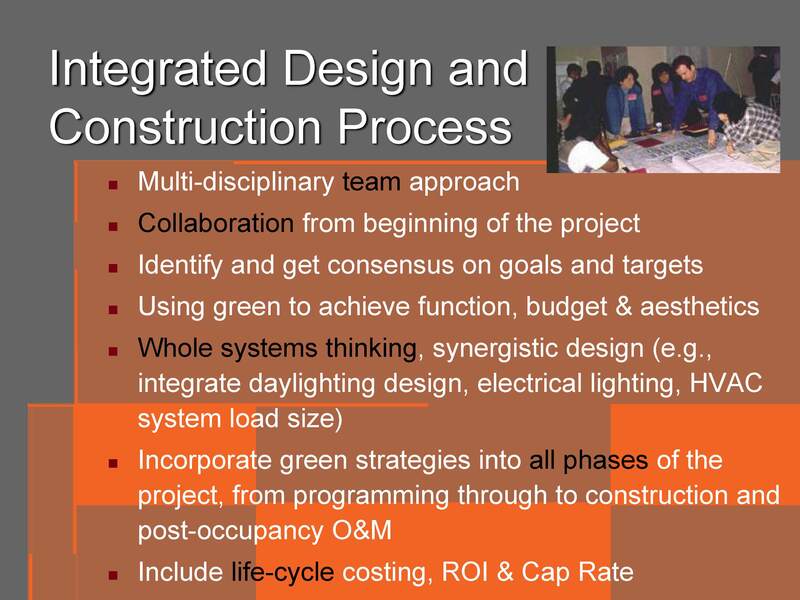 Once again, an integrated approach is key to achieving a truly Green building. By making real commitments to sustainability, Green hotels can be a key player in the climate crisis solution.